What happens when you arm a technical robot with a glue gun, program it with the right code and set it to work on a sheet of stretched fabric? 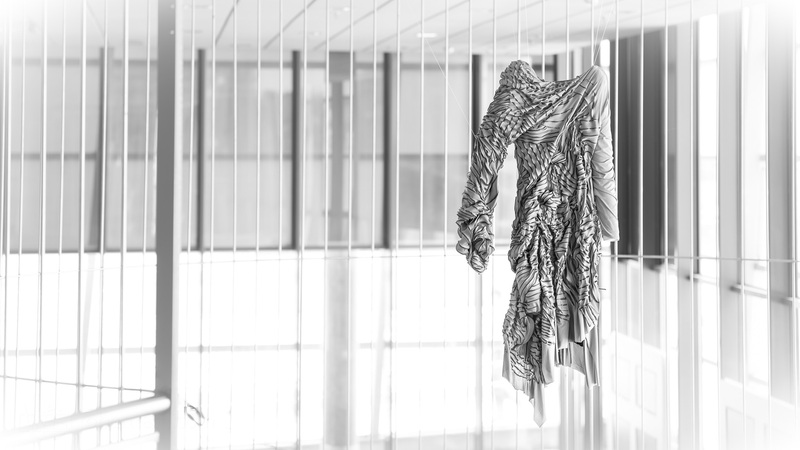 This stunning piece created by Anna Piecek and a Kuka robot at Kunstuniversität Linz is an interesting fusion of fashion and robotics that might just be as appealing to the coders as to the catwalk pundits of Paris. Without those coders however, Anna’s dress may never have materialised ( sorry about the pun ).